Paula Reynolds works in a cozy studio making pottery and sculptures with two dedicated studio mates, an English Bulldog and a Boxer. 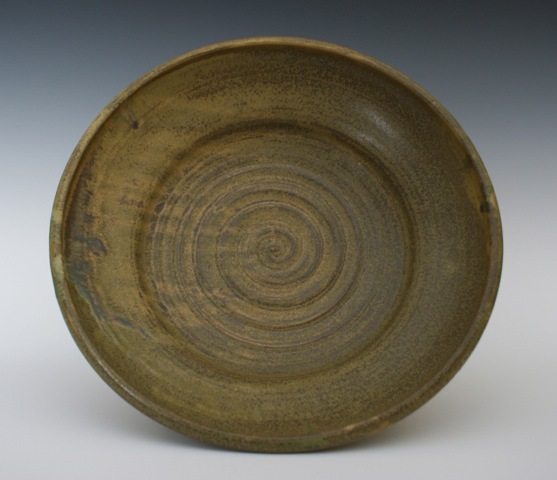 She makes her own glazes and uses mid-range stoneware. Preferring pots that are not identical, she works in series that are related. Her mixed media sculptures are playful and autobiographical. Paula graduated from Virginia Commonwealth University’s School of the Arts with a BFA in Crafts, a BFA in Art Education, and a Master of Interdisciplinary Studies in Ceramics and Sculpture. She also studied at Hood College in Frederick, Maryland taking post-graduate ceramic courses. Paula is a native of Virginia where she taught high school art and graduate ceramics before moving to Alabama. She and her husband, Mel, live in Inverness near their two sons and daughter-in-law. Paula teaches ceramics at Jefferson State Community College, serves as Assistant Director of the Alabama Craft Council, and is one of the co-owners Artists Incorporated Gallery in the Rocky Ridge Business District in Vestavia Hills.